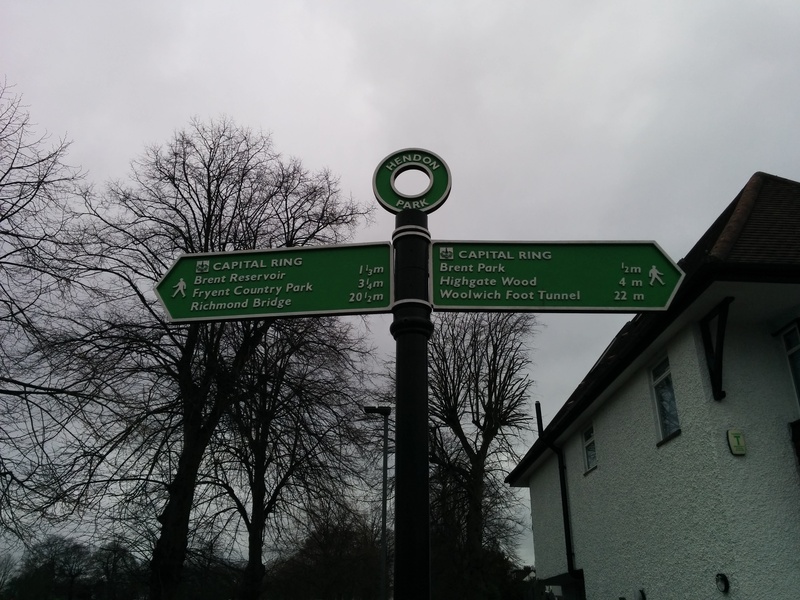 Walking the Capital Ring- from Hendon Park to Highgate (Section 11) | That's London Baby! The walk starts in Hendon park, which is about 10 min walk from Hendon Station on the Northern Line on the High Barnet Branch. Turn left from the Station into Queen’s Road and walk along the Road (crossing the railway tracks) until you see the Park on your right. When you go in, there is a small refreshment Kiosk (if I read correctly a WWII bomb shelter…) and the officially described toilets but they were closed (and I was there at a normal hour, so don’t count on them as I did….). Before you head to the “official start / crossing with the capital ring” in the south corner of the park down the hill, you can spend a few quit minutes as the Holocaust memorial gardens on your left. Keep walking further down South; depending where you headed down, you might see a pedestrian bridge over the railway on your right- don’t go there but follow the path going to the left and exit the park at the south eastern corner where you will find the marker I posted as the first picture above. The path wiggles through a residential area (make sure you have the map or Eagle Eyes to spot the small green signs indicating which street to go down because they all look the same.You’ll eventually cross the River Brent and the guidebook adertised “look left to see two pepperpot gazebos on either side of a weir”…as you can see below, if this is the highlight of this little stretch of walk, then that’s a bit sad….especially as the next 5-10 minutes will be spent along the massive North Circular Road – its supposed to be the noisiest road in the UK and I don’t doubt that. Don’t cross, just head left and walk along the road) – keep the spirits up it will get better! Walk along the road and shortly after the Brook Lodge, you’ll see a small gate into Brent Park. You’ll still hear the noise of the street but all of a sudden there is green, small ponds and a little river. Continue through the park, cross the street and continue on a little path on the right bank of the little stream. You are now following the Dollis Valley Green Walk, a 16km path from Mout Mount Nature Reserve in the North to Hamstead Heath in the South. Lovely boards will tell you all about it and I got exited. Get exited too, but not too much, as I happily strolled along the excellent path going North and North and ….oh wait, where did the capital Ring go….?! I missed the turning point. Yes, you do follow the Dollis Valley Walk, but the southern appendix of it, so make sure you turn right at the playground through the little tunnel! (or you make it a nice detour to the capital ring going a bit more North). The next bit now you follow this walk along grassy fields but always with the big street in sight, so not very exiting. The guidebook said when crossing Finchley Road, “on the far side, look left beyond the North Circular beyond a bus stop to see the sculpture “The Naked Lady” – I was intrigued but did not see her. 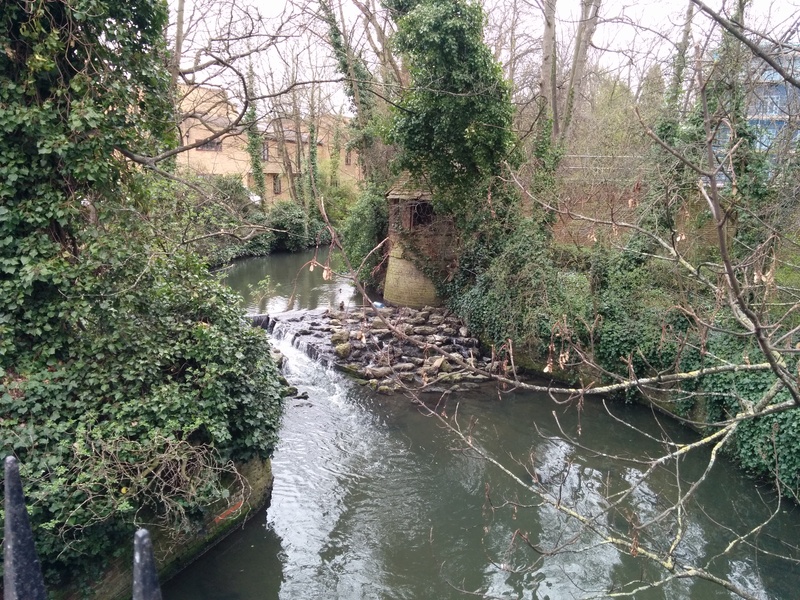 After Finchley Road, dug back into the “Park” , and cross the bridge over the small stream. The next section is a bit hard to describe, follow the map or the signposting of the Capital Ring or the Dollis Valley Walk. 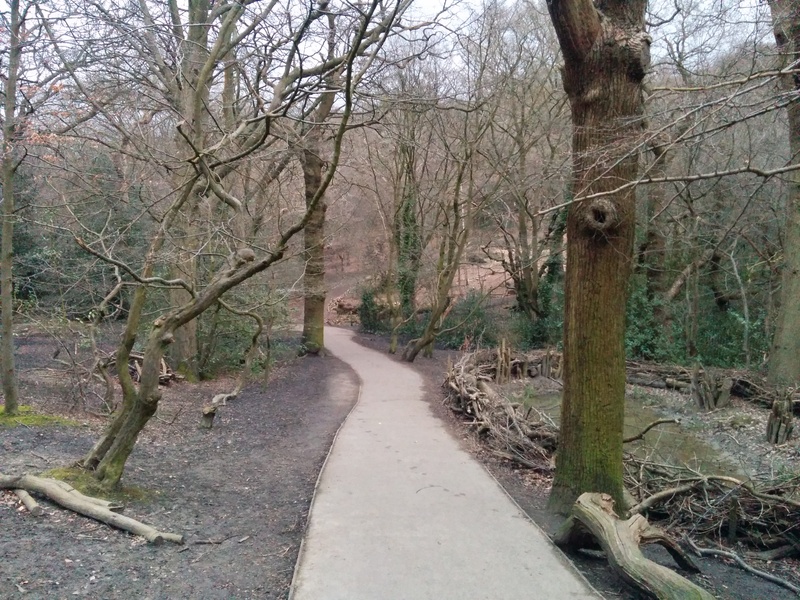 At Addison Way, the Dollis Valley Walk splits towards Hampstead and the Capital Ring continues. And now, the really nice part of this section starts – you’ll enter Hampstead Garden Suburb. In the early 1900s, a trust was set up to build an integrated community for people of all backgrounds to live in nice surroundings. Needless to say that the surroundings are still very very nice (is this London or a small village??) but its not for all people anymore. You stroll through a lovely garden with roses, tennis places, etc. with the beautiful villa’s in sight. The whole garden area merges with the Bishop of London’s hunting park (at least that’s what it was since the 1300s) . After passing tennis and bowling courts (and supposedly another toilet, which was also closed-maybe they are all closed on a Sunday? ), you’ll come out at a small street (Vivian Way) – turn left to get to the high street, cross the high street and enter into the next posh neighbourhood (Edmunds Walk). Use the map to make your way through to the back entrance of East Finchley Station and leave the station through the front entrance. Take a look around in and outside the station. The condition of the station is not great but its an Art Deco gem built by Charles Holden. 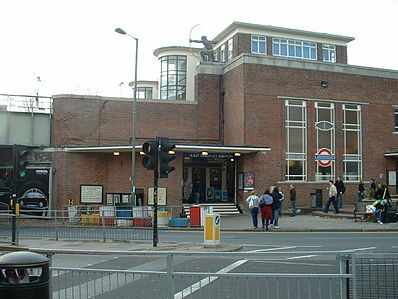 Opened in 1939, when the Northern Line arrived, it replaced an older Victorian station building. I am really no architecture expert at all, so for the description I will borrow two lines from Wikipedia- “East Finchley station was at the forefront of Britisharchitectural design and took inspiration from European architecture (particularly Dutch) that Holden had seen on trips to the continent during that decade” (read the full, very interesting article here). But the building is so intriguing that I did go online to check it out. It looks very different from its two sides, one the one hand its a long building (as by my own poor picture below) but the entry hall part of it looks almost like a squared castle (this picture i borrowed from Wikiepdia as they got the perspective just right). On both pictures you can see the Archer figure, marking the first overground station on the Northern Line. Its counterpart is at the first overground station in the South. Ok, enough about that building! The Capital ring continues on the opposite side of the road, where you’ll enter the Cherry Tree Wood Park. If you want some refreshments or a bit of retail therapy, you can wander up and down the High Street at the station with a few fine shops. Cross Cherry Tree Wood Park and leave into another affluent neighbourhood (check map for details). Walk straight ahead cross Woodside Avenue into Lanchester Road until you see a little tarmac path steep uphill until the fancy gate entrance to Highgate Wood. And there you have it- A real forest (remainder of the Middlesex Forest) in Zone 3! City Dweller don’t get lost! Follow the path to a drinking fountain. Instead of blindly following the Capital Ring signs, have a wander around. Enjoy the good smell of forest. And, at the forest cafe (ok, we are still in London…), you can find the “official start and opening point” of the Capital Ring (just wondering why section 1 does not start here then….). It was here, where the Capital Ring was officially opened in 2005. To continue on the Capital Ring, leave the forest through “New Gate” (if you cannot find the signage, just check the forest maps for “New Gate”, and cross the street. For more forest, and a step hike, turn into Queen’s Wood, which is more a wilder landscape of trees, grass, stones etc. The path will wind up and down, almost like going through a little gorge. If you are less mobile, or tired, or lazy, just follow the signs for a diversion along the road. In Queen’s Wood, turn left at the lodge on the downhill part, follow the signs (and your map). On the bottom of the forrest, keep right and take a steep uphill path which will eventually end in a small neighbourhood. This is the official end of the section, if you peek right, you’ll see the back entrance of Highgate station. The capital ring will now follow the Parkland Walk (see my previous post about it here) towards Finsbury Park. You officially made it! 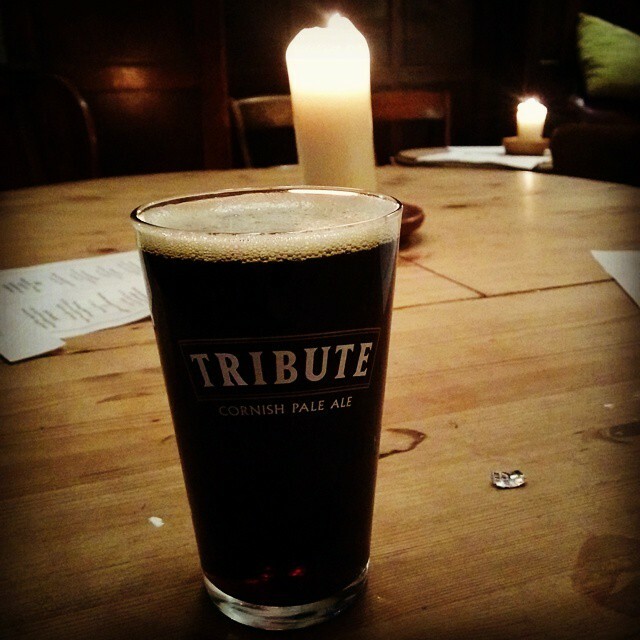 You can go home now, or take another steep uphill hike from the station into Highgate Village, where the famous “Highgate 11” Pubs are waiting for you. I am just writing about this section of the walk so I peeked at your blog for a comparison. This was really helpful for me to refresh my memory!